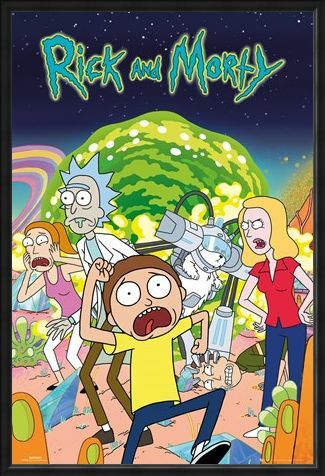 The mysterious disappearance of Rick has now come to an end as he lands on his daughters doorstep after being gone for almost 20 years! 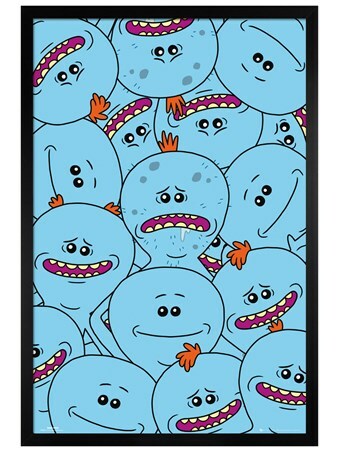 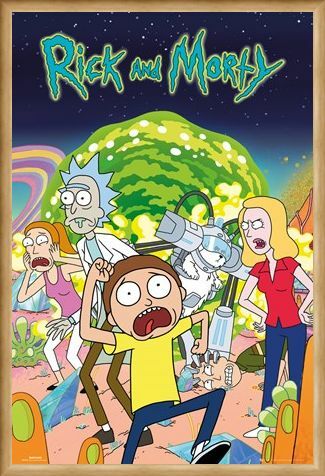 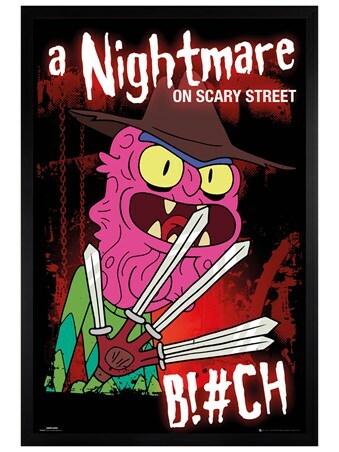 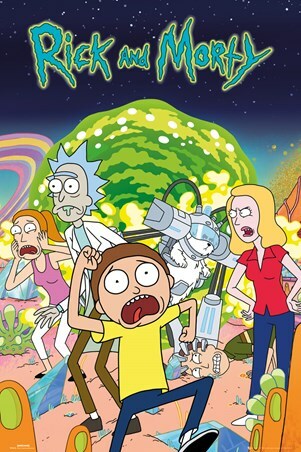 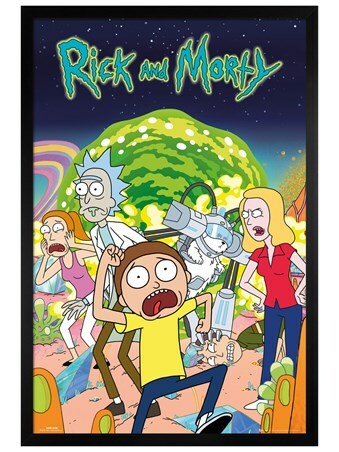 This action packed maxi poster displays the mishaps and mayhem that occur in the American sitcom - Rick and Morty! 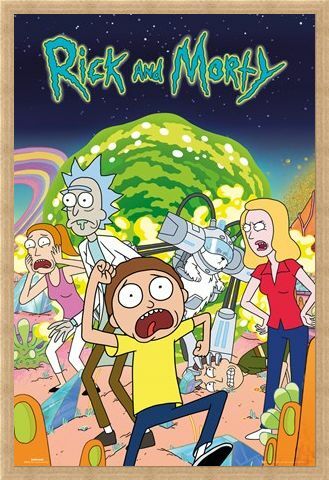 Jam packed with aliens and monsters, who knows what crazy adventures are lurking around the corner...you will have to tune in to find out! 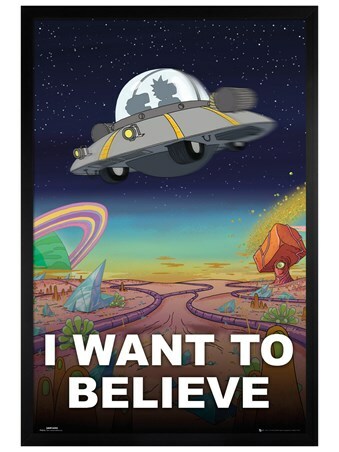 High quality, framed Rick and Morty Group, Cartoon Sitcom poster with a bespoke frame by our custom framing service.